Ski in, ski out! 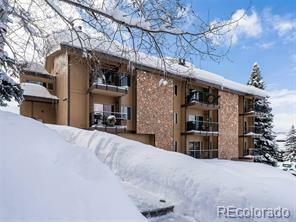 If you want slopeside convenience and gorgeous mountain scenery from every room, this is for you. Furnished 2 bedroom, 2 bathroom condominium in the Storm Meadows Club C building. Soak up the sun and fresh air from the deck overlooking the Steamboat ski area including trails and lifts, the gondola base area, and southern views including the Flat Tops mountain range. 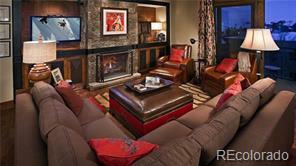 After a long day enjoying all that Steamboat has to offer, cozy up by the fireplace and enjoy the beautiful alpenglow. The 2nd bedroom has French doors so you can have more living space when you need it or keep them closed with blinds when you want the privacy (see photos.) Ski storage and private shuttle, plus the clubhouse amenity building offers a pool, hot tub, exercise equipment, sauna and tennis court. New roof!